Our growth continues! Welcome, Beyond Vigilant. This has been an incredible quarter at Hero Digital. Last month, we had the honor of welcoming Delphic Digital to our team, and now I am pleased to announce that Seattle-based Beyond Vigilant is joining our growing organization. Beyond Vigilant CEO Kristine Stebbins is an industry-recognized thought leader in CX, an esteemed advisor to her clients, and also someone who I have known personally and grown to admire over the last several years. 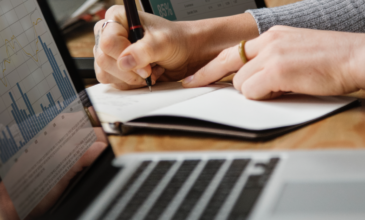 Beyond Vigilant has a track record of driving positive outcomes for their customers through a combination of strategy consulting, experience design, and platform engineering, using technologies including Episerver, Sitecore, and Adobe. Kristine’s agile approach to working with her clients, and her ability to quickly assemble senior teams, makes her style a perfect match with Hero. Beyond Vigilant and Hero were born with the same goal in mind: to evolve the digital experience for the world’s best brands – with unmatched efficiency and speed. Beyond Vigilant and Hero Digital joining forces will create immediate positives for our collective customers. BV’s existing customers will now have access to a broader set of capabilities – and Hero’s customers will now have access to BV’s specific expertise. Our customers in the Pacific Northwest region will benefit specifically from a strong presence on the ground and our ability to provide a more intimate level of service. I have always believed that services work is best done in person and face-to-face. I am truly delighted to now have a strong presence in Seattle, which will allow us to be that much better for our customers in the region. Our customers and our partners continue to demand a strong, independent CX agency who can drive business outcomes for North America’s best brands. Hero Digital is focused completely on this goal, and our commitment to it has never been higher. 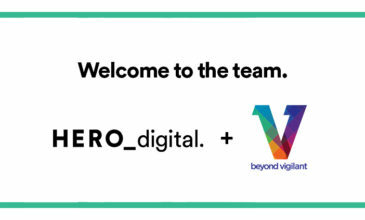 I am honored and humbled to welcome Kristine and the Beyond Vigilant team to Hero Digital. Together, we will continue to build a unique company that is focused completely on our customers and their growing CX needs.